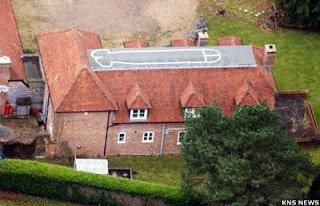 An 18-year-old has secretly painted a 60ft drawing of a phallus on the roof of his parents' £1million mansion in Berkshire. It was there for a year before his parents found out. They say he'll have to scrub it off when he gets back from travelling.